What is Bio-Geometric Integration (BGI)? We are on a mission to enable our participants at Lotus of Life Chiropractic and anyone else whose path we cross to know where to find the most nutrient dense, life-giving food available. Here’s a quick list for both locals and our friends who aren’t fortunate enough to live in Decatur, GA and the surrounding areas ;). 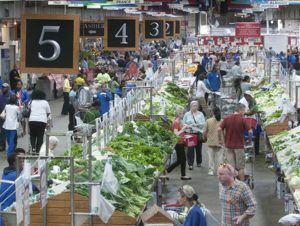 The entire Atlanta area is rich in local farmers markets. We strongly encourage you to frequent those markets! While many of the farmers who participate in the markets aren’t certified organic, the majority of them practice organic farming at or above USDA standards. 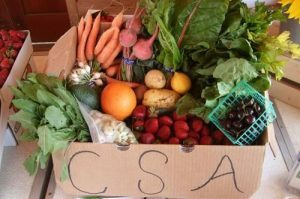 The process of certification can be costly and take time the owners of small farms don’t have to spare, but if you talk to them about how they grow their produce, you’ll find it’s squeaky clean. Here’s a great site to help you locate the market closest to you and that fits your schedule. And, of course, our favorite source for raw milk is Carlton Farm. Check out their farm truck or have delicious food delivered right to your door! 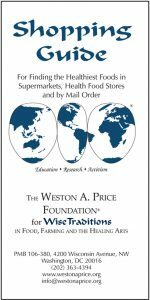 Weston A Price Foundation’s Shopping Guide. You can order your guide directly from their website (join up while you’re there!) or, have your local loved one pick one up for you from our office. They even have a mobile app you can download that will help you find the healthiest food near you, wherever you are.